This is a mixed media ATC I did when I was in a trading group. 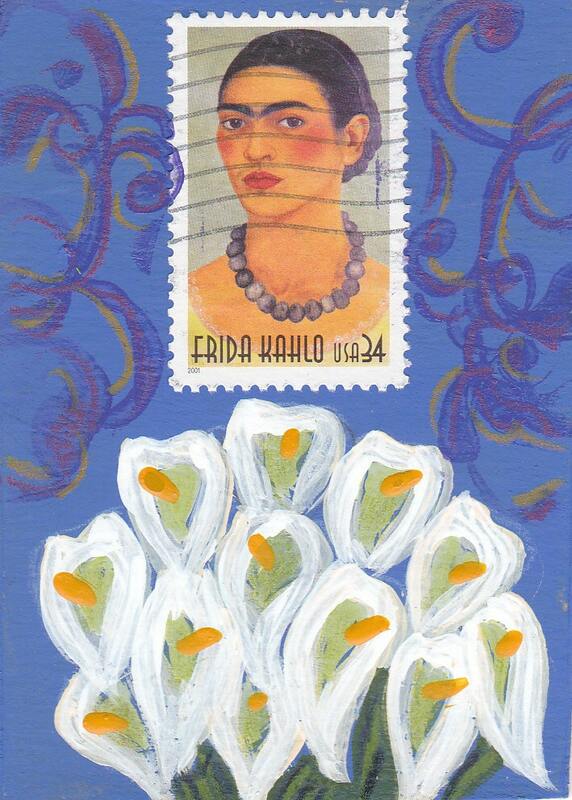 I love frida kahlo, her story and art. absolutely beautiful! And thank you for the careful packaging. Love this card! All the cards are very high quality with unique images, and tones. Now I just have to fill them with letters. I will buy many more from this seller in the future!